The Magdalen with the Smoking Flame, Georges de La Tour. Original is in the collection of the Los Angeles County Museum of Art. Hovig Alahaidoyan is a UK concept and visual development artist and designer for games and film. Though his blog is not extensive, and his portfolio is available only as a PDF, Alahaidoyan recently participated in Under Tomorrows Sky, in which he helped bring to life the visualization of a future city as conceptualized by a think tank of scientists, technologists, futurists and other artists (images above, top three sets of images and detail crops). The site for the project has large images of the work he contributed (and here). The large images for that project show Alahaidoyan’s skill at simultaneously conveying scenes of huge scale and the human scale in which people exist in relation to those scenes. In what is an instructive example of the ever shifting landscape of art history, and the mercurial nature of the past in general, a painting in the Dallas Museum of Art that had long ben attributed to the hand of Hudson River School painter Asher B. Durand has been reassigned to George Inness, another great American landscape painter. Inness was very much influenced by Durand, particularly early in his career, and went on to become even more well known than the elder artist. Attribution of the painting had been in question, and was borderline to being reduced to “Attributed to Durand” status. Associate Curator of American Art Pauline Gill studied the painting, which was in storage, and in a search for possible alternative attribution, came across a pen and ink drawing by George Inness from the Princeton University Art Museum which appears to be a potential study for the painting. An expert on Inness was called in and the painting has been reattributed to the more well known artist. 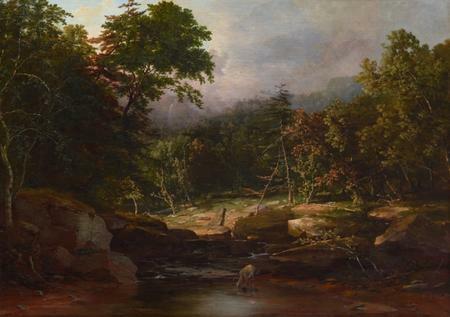 In a demonstration of the little realized fact that a large percentage of the titles of historic artworks are given by curators and art dealers after the fact and not named by the artists themselves, the painting has been retitled from “In the Woods”, a title in keeping with Durand’s works, to “Stream in the Mountains”, a title more in line with the themes associated with Inness’ work of the period. Unfortunately, the museum’s website, in accord with the apparent unwritten standards of PR cluelessness demonstrated by a huge number of art museum websites, has not capitalized on the news by publishing an article and image accessible from the home page, but has instead left the story to languish in an unillustrated press release. The local and national press have done a better job of covering and promoting the story. I couldn’t even come up with an image of the work on the museum’s site by searching the collections for either Durand, Inness or the alternative names given to the work (sigh). Visual effects artist Catherine Nelson, who has worked on films like Moulin Rouge and Harry Potter and the Prisoner of Azkaban, creates her personal work in the medium of digital photography, compositing hundreds of photographs into miniature floating worlds. There are several series in the “Artwork” section of her website, as well as earlier works that include imaginary landscapes. Snake Charmer at Tangier, Africa by Louis Comfort Tiffany. Yes, that Tiffany. Many who admire his designs and stained glass aren’t aware of his work as a painter. See my previous posts (listed below). Link: Snake Charmer at Tangier, Africa by Louis Comfort Tiffany. The Pushkin State Museum of Fine Arts in Moscow has placed online a catalog of their collection of Japanese Prints from the 18th and 19th centuries. You can browse through sections for landscapes, beauties, actors, warriors, sumo wrestlers, flowers and birds. 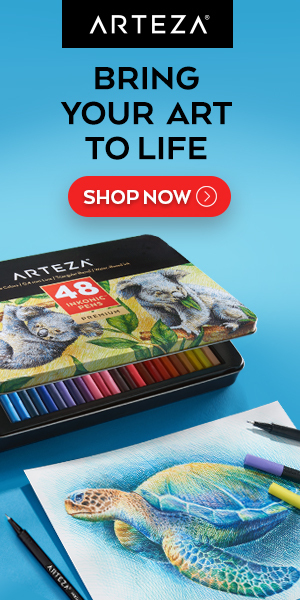 You can also browse by artist or school, and there are additional reference materials.